For every homebuilding project there is the perfect designer the problem is deciding which one to choose. Debbie Jeffery explains how it doesn’t have to be a lottery. Unless you happen to be highly skilled and extremely confident in dealing with planners and grappling with building regulations, it is likely that you will call in a design professional to help circumnavigate the red tape and bring out the best in your self-build project. Planning your new home should be the fun part, when all your dreams finally start to become reality, but finding the right designer can prove a headache and there are many important factors which you need to consider before taking the plunge. Choose the wrong designer and the home of your dreams can turn from grand into just plain bland, or end up costing far more than your initial budget. Understanding the services and roles offered by various design professionals is the first stage to finding the right one for your particular project. It is a sad fact that architects have gained a reputation for listening to a brief and then imposing their own tastes anyway. This may be rather harsh, but it is true to say that each individual will have his or her own preferences, style and trademarks, so always try to find someone with experience in designing the kind of home which you prefer. One area of particular confusion is what actually constitutes an architect, with the term often used generically to describe almost anyone who designs or supervises the construction of buildings. In fact the title is protected by law, with a person only allowed to call themselves an architect if professionally qualified and registered with the Architects Registration Board (ARB) following the usual seven years of training. The ARB is the authority established by statute to maintain a register of architects and to regulate the conduct of the architect profession. Anyone calling themselves an architectural consultant or architectural designer has not completed this training and may have few qualifications at all. Around seventy per cent of architects are chartered, which means they are members of the Royal Institute of British Architects (RIBA), which provides a free Clients Advisory Service offering a database of all registered practices including a profile of their work, and the range of services they offer. All practices included on the register must hold professional indemnity insurance cover appropriate to the scale and type of work they undertake. We put people in touch with the right architect in their area, explains a spokesman. 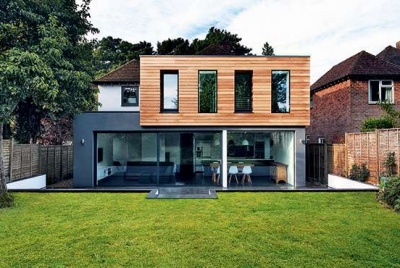 Associated Self Build Architects (ASBA) was formed in 1993 to help anyone who wants to build or alter a dwelling, or undertake a conversion project and is Britains largest network of practising chartered architects who specialise in individual homes and small works. Founder member Julian Owen stresses that the hardest problem for an architect is making clients understand that they offer a complete service. Many people believe that an architects main purpose is to produce a set of plans and drawings, Julian says, and by focusing on this and choosing the cheapest option they often miss out on a whole range of other services. These can include plot finding and analysis, design and feasibility studies, planning and building regulations submissions, tender packages, contract administration, supervising the build and signing off the completed project with an architects certificate. “Designing individual houses and buildings is my main interest particularly if I can produce something imaginative and unique. There is definitely a lack of understanding regarding architectural technologists and the various services we can offer,” says CIAT member Andrew Williams. Like an architect, a fully qualified architectural technologist (MCIAT) can undertake a building project from conception through to final certification, including design presentations, preparation and feasibility studies, co-ordination of associated professional consultants, production drawing and construction detailing, materials selection and specification, submissions and negotiations to seek statutory approvals, the application of computer aided design (CAD) techniques and project management. The term architectural technologist is actually quite new, and many still prefer to call themselves architectural technicians, despite a campaign to rebrand the profession and further raise its profile, establishing greater links between their education and training and that of architects. Architectural technologists have their own professional body: The Chartered Institute of Architectural Technologists (CIAT) which publishes a directory of practices and ensures that members achieve approved standards of training, adhere to a code of conduct and maintain professional indemnity insurance. CIAT technologists currently need three years of supervised experience in addition to a first degree, resulting in a total six years of training. The Institutes qualification, MBIAT, is accepted by banks, building societies and other corporate bodies which, amongst other things, allows certification for the release of stage payments for self-build projects. 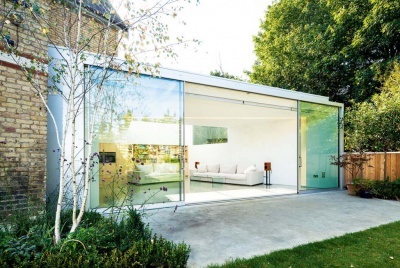 Members do offer design as part of their service, but tend to specialise more in the technical aspects of building, and have suffered under the assumption that their work may not offer the flair or imagination provided by an architect. The principal difference is that architects tend to place greater emphasis on conceptual design or how the house looks whereas technologists are concerned with the technical performance of buildings and specifically draw upon science and technology in building design. Combine the two elements and, theoretically, you have the perfect solution which is why so many architectural practices employ a technologist and vice versa. Often it is the technologist who will prepare the detailed design and specifications, satisfying the legislative and regulatory requirements and solving technical problems once an architect has produced conceptual designs. Chartered and technical surveyors are a leading source of advice on all aspects of land, property, construction and the associated environmental issues. Many alterations, extensions and new builds are planned by building surveyors who, if members of RICS (the Royal Institute of Chartered Surveyors), will be fully competent in matters of construction, and subject to their Institutes code of behaviour. Some 30% of RICS members work in the construction industry with building surveyors managing projects from kitchen extensions to airport terminals combining technical knowledge of construction methods and materials with legal, financial, design and management skills. The basic requirements for chartered surveyor status are a degree accredited by the Institute plus two years structural training, followed by success in the RICS Assessment of Professional Competence. RICS rules lay down minimum levels of professional indemnity insurance for members in private practices. Anyone interested in using one of our members will be sent a nationwide directory, explains a RICS spokeswoman, and will then be given three contacts over the telephone depending on the services they require. There are many fields of practice within the profession and it would be important to select those surveyors who specifically deal with architectural design, project management or a combination of relevant skills. 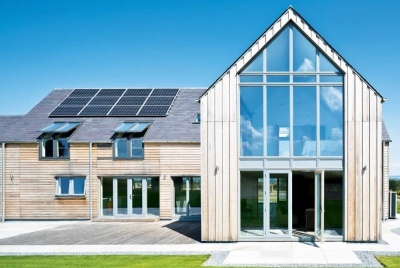 Another option is to approach some of the many companies offering complete self-build packages from design through to supplying the materials and completing construction in either timber frame or brick and block. This can prove one of the easiest routes to selfbuild, with as much or little of the build co-ordinated for you, but beware of being limited to standard plans in order to keep the package competitively priced. It could be argued that a pre-designed kit will not best suit the individual requirements of either homeowners or sites, although some package companies do offer a bespoke service to create a one-off property using their own in-house designer. Structural engineers are concerned with the safety, efficiency and elegance of buildings and engineering structures. They work with other professionals in design and construction, but take particular responsibility for how buildings and other structures respond to loadings considering the weight of the building itself, the contents, including people, and how the building reacts with the ground. Designs must not only be sufficiently safe, but also efficient and easy to build. Many structural engineers work in design, whilst others are in involved in contracting and actually build the structures. 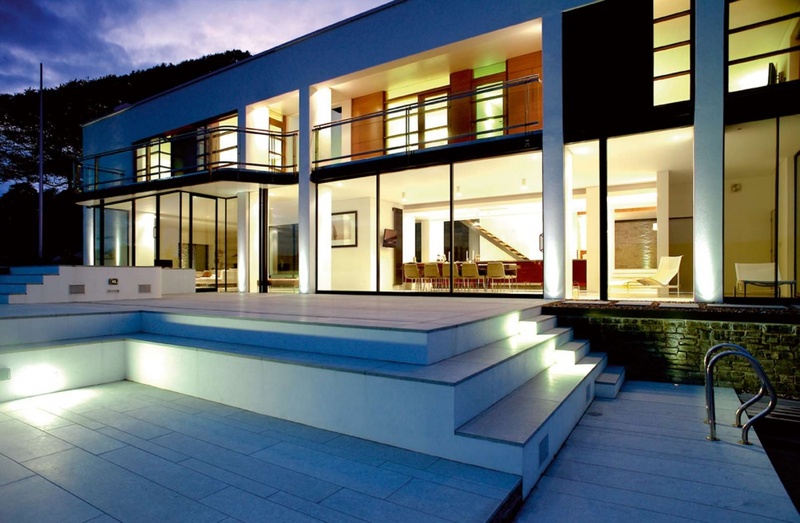 When it comes to individual homes, however, it is quite unusual to employ a structural engineer to design a house from scratch, and more common for them to be asked to work on an existing idea or design possibly in conjunction with another design professional. It is worth remembering that a designer does not need to be qualified to practice, and there are hundreds of good freelance house designers who may prove a cheaper option, but will not necessarily carry the protection of indemnity insurance or be accepted by banks or building societies to certify for the release of funds. Do your research in order to confirm these points. Do not use package companies, plan books or internet-sourced designs for a free design service – you will technically be in breach of copyright. Even if a design is based on your own ideas the copyright is owned by the individual or company that produced the actual physical plans although referring to other house designs is a good way to become familiar with floorplans and gather information in order to achieve the best design for you. Many interior design firms also act as project managers coordinating architects and craftsmen and may be ideally suited to a conversion or renovation project where they are working with an existing building which needs revamping. They often give free estimates and consultations, and can save money by avoiding expensive mistakes with colour schemes and structural alterations. The Interior Decorators and Designers Association can provide names of members and will give guidance. Be warned, however there are a lot of amateurs out there. IDDA members are professionally trained and must comply with certain rules, including insurance cover. A small number of self-builders opt to draw up their own plans and, if you know exactly what you want and are confident in your abilities, you may decide to take this route. Building a scale model can prove a useful method of visualising the finished house; software packages such as AutoCad take the novice through tutorials which will result in scale plans in 2 and 3D. The design is actually the easy bit most people can orientate a building or work out a circulation route but you will probably need professional help such as a surveyor or engineer when it comes to the building regulations. Often someone trained in design will see opportunities and avert potential disasters which you, as a novice, could miss. Be aware that, if anything goes wrong with the construction as a result of your design, you will need professional indemnity insurance (PII) to cover you. Additionally, most lenders stipulate that the design should be carried out by a professional holding PII. If you are confident about your own building skills you might simply need someone to prepare a set of drawings for submission to the planning authority. At the other end of the scale you may prefer to employ someone who can help you through the whole process from choosing a site to completion. You can use one design professional or a combination of people to produce the same result an architect could design the initial concept, with the detailed design and specifications drawn up by an architectural technologist and the project overseen by a project manager, quantity surveyor or engineer with an interior designer brought in at the final stages! This is obviously not the cheapest or easiest of options, however, as juggling so many professionals can result in a blurring of who is responsible for each aspect of the project. Identify your needs and then match these to the professional who will be best suited to assist you. Local designers will have experience of the planning authority and are on hand to oversee the project and recommend tradesmen with whom they may have worked before. As with anyone involved in your self-build, make sure you appoint a designer with whom you have a rapport and who shows enthusiasm for the project. Ask to see some recently completed properties of a similar scale to your own and talk to former clients to find their impressions. Take along your ideas, know your budget and time scale and see how they respond but always be prepared to keep an open mind as the most outstanding, workable designs tend to result from collaborative discussions. Conversely, never allow your designer to take over the project and dissuade you from features you have set your heart on and can afford. Be prepared to say if you don’t like the preliminary sketches and to change designer altogether if you feel unhappy in the early stages. By initially employing a designer on a limited basis you will be able to monitor progress and your relationship without committing yourself to a full service. Setting a budget for both the build and design aspects of your project and relating the size of a building to its ultimate cost is essential, whichever design route you choose. Although cutting costs at this stage may prove tempting it really is a false economy. Your neighbour’s father-in-law may offer inexpensive design services, but poor or inadequate drawings will incur additional costs on site and reduce the propertys resale value, so it is important not to make too many cutbacks for such a vital part of the project. No-one should begin work on the designs until you have first agreed the basic fee, which will normally be quoted exclusive of VAT, expenses and disbursements. Routine work such as inspections or consultations is likely to be charged on an hourly basis but, for building projects where a full architectural service is provided, a percentage fee calculated on the total construction cost is usually best suited. With most design professionals you should be able to select all or part of their service and, if you only want an hours general advice, then that is all you should pay for. For a drawing only service, some architects will charge by the hour. Never pay for any design service up front a professional should be flexible and happy for the fee to be split into stages, with the normal arrangement for clients to pay by instalments on a monthly basis or at pre-defined stages. Often as with RICS members there are no guidelines for fees, with rates varying depending on the nature of the scheme and the individual involved, and it is always worth negotiating on the price! Architectural fees for the full service should come to between 7.5% and 16.5% of the total building cost although ASBA opts for a more modest 6 to 8%, and smaller practices with lower overheads tend to be cheaper. 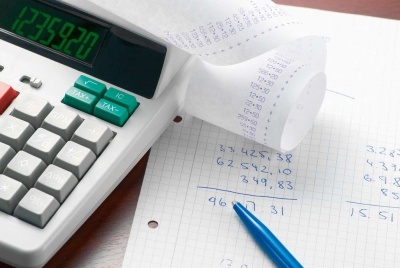 Lump sum fees should only be used when the scope of work and budget can be clearly defined from the outset, with time charged fees best chosen when these cannot be reasonably foreseen, as is often the case with repair or restoration work. It is advisable to visit several practices to discuss your requirements and, although initial consultations are free of charge from RIBA members, this may not be the case for all architects so confirm fees before you meet. For new work, an architectural technologist may charge a fixed fee, or a percentage of anything upwards of 5% of construction costs. Although an architectural technologist is likely to be less expensive than an architect, don’t expect a bargain basement price, as you can pay anything from a few hundred pounds for drawings to well over 6,000 for a full design and project management service, which should be broken down into stages. Where applicable, non-recoverable VAT is charged on a designers fees and expenses, although following the package company route may mean that you avoid paying VAT on the design service, which is incorporated into the complete package cost. Be assured, however, that there is no such thing as a free design! Research has shown that even with a detailed specification and a good set of drawings, the tender price on a typical house with a budget price of 85,000 can range from 70,000 to 110,000. If the project is well managed once it starts on site, with quality control inspections made, it is harder for builders to take shortcuts and reduce the specification. Governing bodies, such as the Royal Institute of British Architects, produce standard appointment documents from which you can select the precise services you need. Whoever you decide to employ as your designer, however, it is important that a contract is drawn up between you as, in law, without a specific arrangement, you may not have any comeback if your designer does not fulfil his or her obligations in some way. Always talk through any problems in the first instance but, as a last resort, you may have to take legal proceedings against them if things go wrong and a written agreement is the best form of safety net. In the event of a major structural defect it will be possible to seek compensation from an inspecting professional, with most designers relying on professional indemnity insurance to settle any such claim. It is therefore vital to confirm that your chosen designer is sufficiently insured for the project. The RIBA and other governing bodies do have systems in place to settle disputes, including mediation and adjudication, with other help available to the self-builder such as the RTPIs Planning Aid: a free, voluntary service offering independent professional advice and help for people with planning applications who cannot afford to pay for private consultants. Fantastic post about a truly scary and daunting area of choosing the right house designer for your project. There is price pitted against quality, with risk hovering over everything. The same is not so crucial when it comes to an area that you did touch upon, choosing an interior designer. Thankfully, mistakes, although upsetting if they get it wrong and paint the teenage boy’s room in fuscia pink, it would not normally be dangerous or financially risky. I would imagine that who ever you use to design a house, would have to have the designs approved by a technical body anyway befor the build begins. Opening statement for Architects is a little unfair. All designer have their own styles – so a client who selects their Architect carefully would not be subjected to a house they are not happy with – review their previous work, get references and visit their offices. If you pick one from the yellow pages, then you have only yourself to blame.